The late Joseph Campbell argued for a single thread of story that is retold again and again that stretches across all societies. 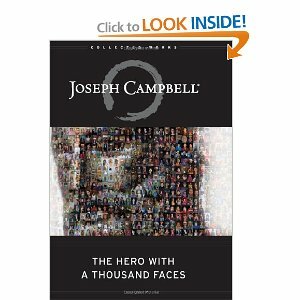 This is depicted in what he calls “The Hero’s Journey” and articulated in several of his books, the most notable being A Hero With a Thousand Faces and is a tremendously popular theme in fiction, mythology, and even literary novels. There are other story themes that stretch across multiple societies. If employed properly it allows the author to reach a vast audience. I will leave the discussion of The Hero’s Journey for another post but I would like to take this opportunity to discuss the idea of the 1% vs. the 99% whether socially, economically, or otherwise, in story. We could start anywhere but I’d like to begin in the realm of cinema. One example that cannot be missed includes an Empire and an unlikely moisture farmer (is my nerd coming through clear enough for you?) from the remote planet of Tatooine. Does the Imperial March begin clashing in your mind? Well it should. Yup, Star Wars is a crux example, if you will, of the 1% vs. the 99%. Though the Empire is nearly invincible, their naked aggression and iron grip ignites a seemingly inconsequential response which leads to its downfall. One recent manifestation of the 1% vs the 99% is represented in the Hunger Games. There are twelve districts set up to be subservient to one district and because of a failed coo, must give tribute. It is a sadistic twist on inequality centering on the lives of children to ratchet up the intensity. By no means did Suzanne Collins set out to represent the Occupy Movement, but the theme of inequality and the barbaric consequences that arise are evident. This story theme does not reside in science fiction alone. An example in our daily lives is the Occupy Movement. The movement surrounds the idea of social and economic structures claiming that large businesses and financial institutions are set up to benefit the few (1%) rather than the masses(99%). The 1% vs. the 99% is a ubiquitous but mailable and believable driver that can fit into any story. So if your story is flat and needs a bit of pep, consider adding to the backdrop. You very well may need something that strings it all together. Adding a story theme such as the 1% vs. the 99% might just give your story enough legs to stand up even under your own scrutiny.